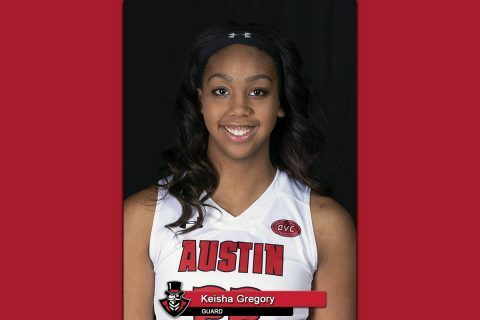 Keisha Gregory | Clarksville Sports Network - Clarksville Tennessee's most trusted source for sports, including Austin Peay State University. Clarksville, TN – March. 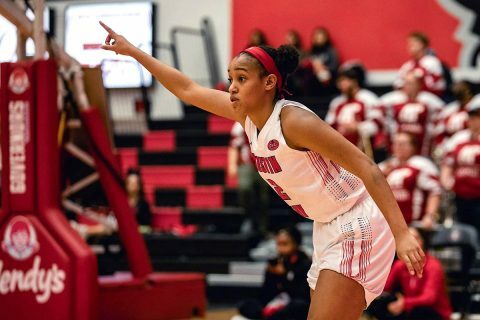 Two of the most things equated with it are rain and March Madness. 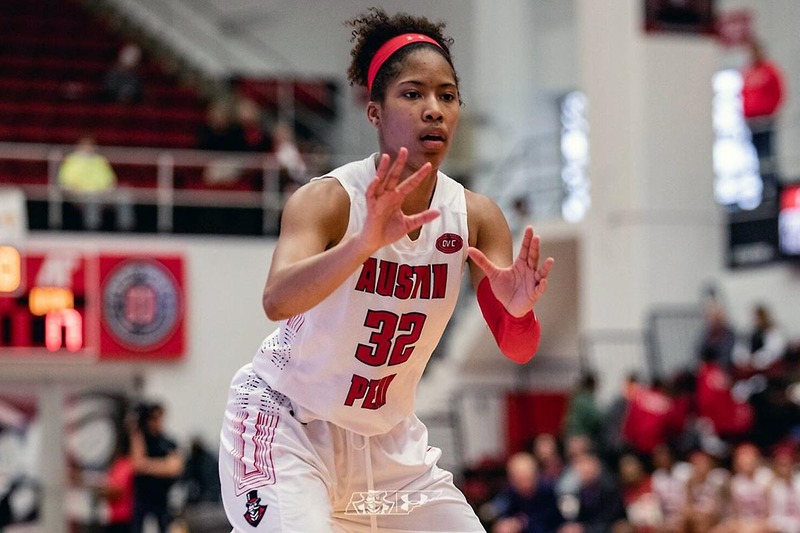 Austin Peay State University (APSU) women’s basketball team will look to focus on the latter, as they begin their quest for an Ohio Valley Conference Championship, taking on Tennessee Tech, 1:00pm, Thursday, March 6th at the Ford Center in Evansville, IN. 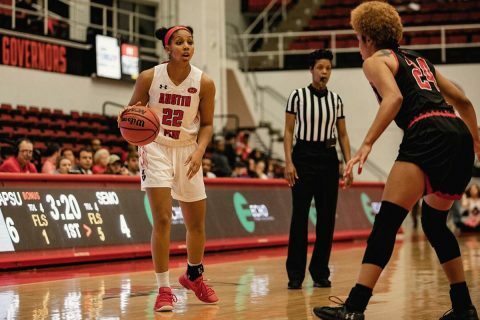 Brentwood, TN – Austin Peay State University (APSU) senior guard Keisha Gregory has been named First-Team All-Ohio Valley Conference, the league announced Tuesday. Gregory was a catalyst for the Governors offense, leading the team in points scored (395), points per game (13.6), free throws made (126) and attempted (142), as well as assists (83). She remained a stalwart in the lineup, starting all 29 games and leading the Govs in minutes (885) and minutes per game (30.5). 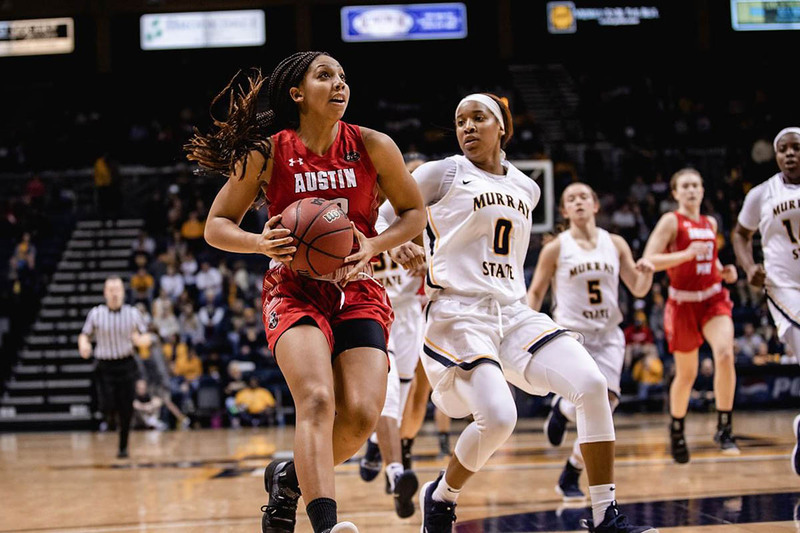 Murray, KY – Austin Peay State University (APSU) women’s basketball team could not complete a late comeback, falling to Murray State, 77-72, Saturday, at the CFSB Center. The Governors (15-14, 10-8 OVC) were down by as many as 19 in the second quarter and outscored the Racers (13-16, 9-9 OVC) by 10 in the second half, led by Brianah Ferby’s season-high 21 points. 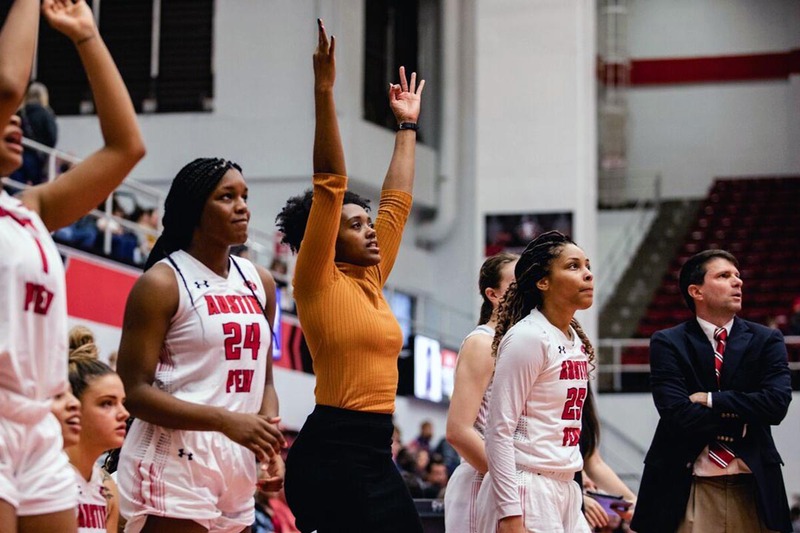 Clarksville, TN – The Austin Peay State University (APSU) women’s basketball team, assured of a spot in the Ohio Valley Conference Tournament as either the No. 4 or No. 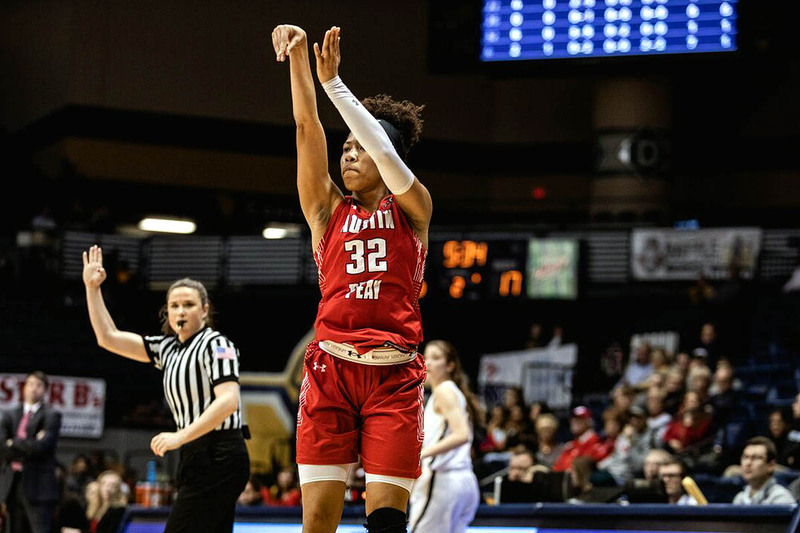 5 seed, will look for a season sweep of rival Murray State in Act II of the Heritage Bank Battle of the Border, 5:00pm, Saturday, March 2nd at the CFSB Center. 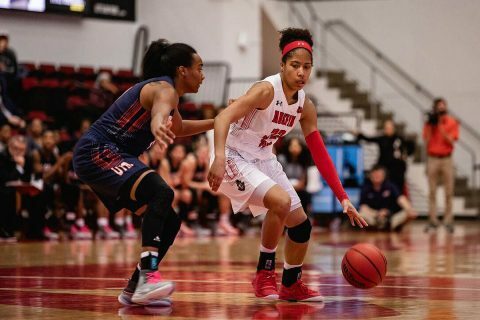 Richmond, KY – Austin Peay State University (APSU) women’s basketball team clinched a spot in the Ohio Valley Conference tournament with a 80-60 win over Eastern Kentucky, Thursday, at McBrayer Arena. The Governors (15-13, 10-7 OVC) hit 13 three-pointers as head coach David Midlick won his 100th career game as a collegiate head coach. Clarksville, TN – Austin Peay State University (APSU) women’s basketball team fell victim to a comeback from UT Martin, suffering a tough defeat on Senior Day, 59-58, Saturday, at the Winfield Dunn Center. Clarksville, TN – Austin Peay State University (APSU) women’s basketball team has a chance to climb into the top four of the Ohio Valley Conference standings and cement their spot in postseason play with a win against UT Martin, 1:30pm, Saturday, in the final home game at the Winfield Dunn Center this season. Clarksville, TN – It was not pretty at times. 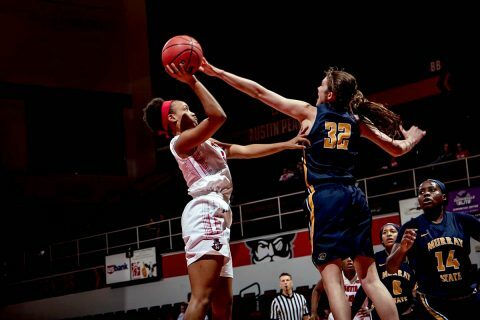 It was not lights-out shooting. However, the Austin Peay State University (APSU) women’s basketball team once again showed amazing resiliency and fight to come back from another fourth-quarter deficit, defeating Southeast Missouri, 56-54, Thursday, at the Dunn Center. 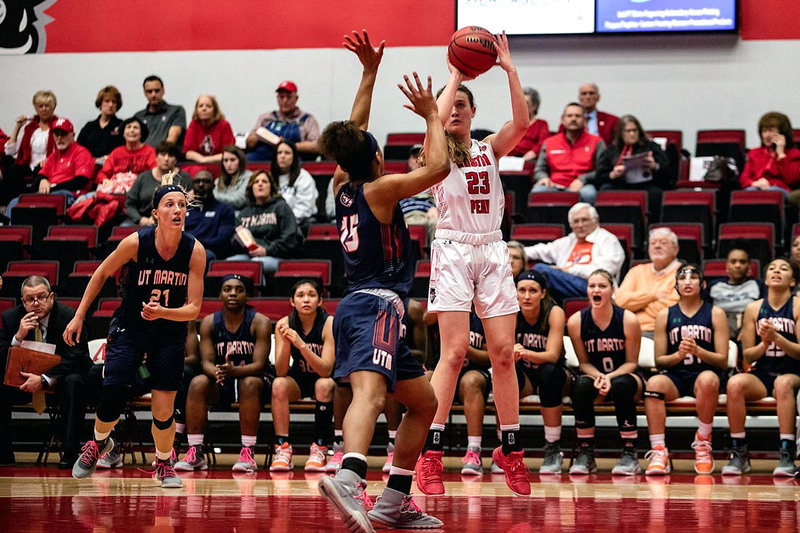 Clarksville, TN – Fresh off a 2-0 weekend in the Ohio Valley Conference for the first time since the opening weekend, Austin Peay State University women’s basketball team looks to extend its winning streak to three games by hosting Southeast Missouri, 5:30pm, Thursday., February 21st.